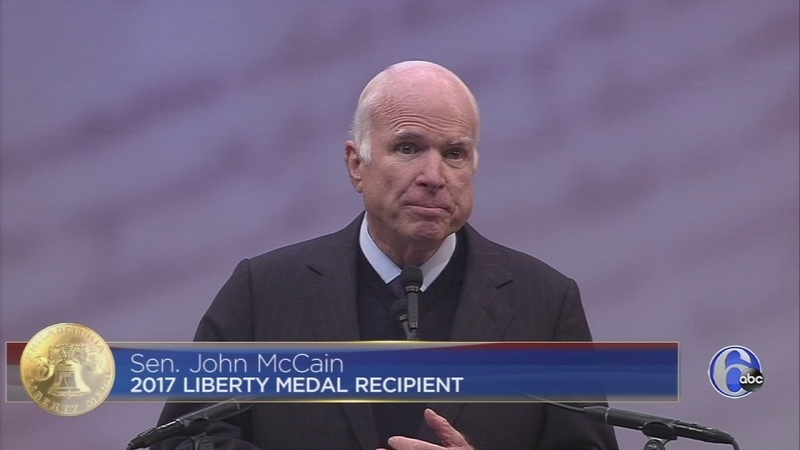 The panel looks back at John McCain's Liberty Medal speech, and President Trump's response. Host Tamala Edwards and our Insiders discuss Senator John McCain's Liberty Medal speech and President Trump's response. Topics also include Rep. Tom Marino, the Clarke-Reynolds Brown Bill, new admission standards for local trade schools, and the Inquirer endorsing Beth Grossman for DA. Catch Inside Story, Sundays at 11:30 a.m. on 6abc. Philly removes admissions standards for trade schools. Insider stories of the week.